The 38 Special is a fantastic round. Not only is this round a high quality, effective round for self defense, but it is also a great historical round and has a light recoil, making it great for target practice and for those with weaker hands. Used through most of the twentieth century for police, military, and civilian purposes, this round has proven itself to be effective and highly reliable. 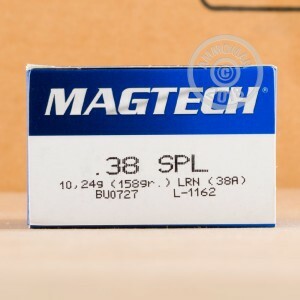 Magtech is one of the best manufacturers around. With their worldwide recognized innovation and quality, you can't go wrong with this Brazilian manufacturer. These lead round nose rounds are just what you need for range training. With brass cases and boxer primers, these 158 grain rounds are reloadable too, giving you extra value. 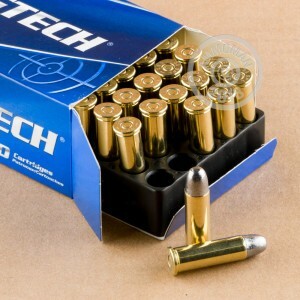 When you use these high quality rounds, you will see the difference Magtech provides. I like the Magtech LRN it cleans up EZ and no leading. At my range we can only use lead on the steel targets so this is a great round for me.